Music Director Rossen Milanov and the Columbus Symphony bring to life the extraordinary tale of an intoxicated artist caught in a dream-turned-nightmare in Berlioz’s Symphonie Fantastique. 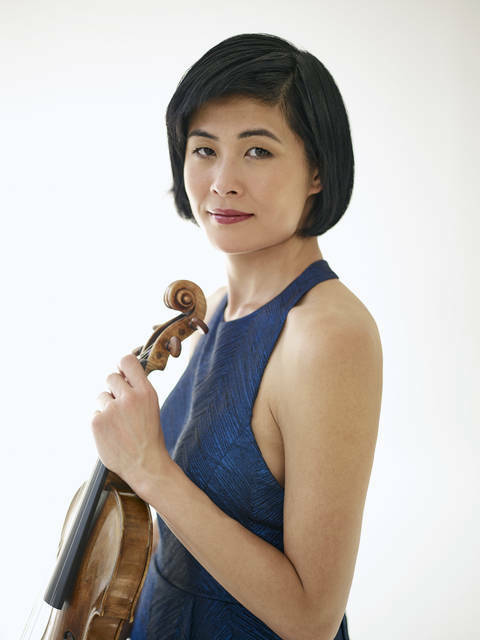 The program also includes the world premiere of Andreia Pinto Correia’s Ciprés, reflecting the magic of Berlioz through her eccentric blending of Iberian folk tunes, and Sibelius’ Violin Concerto in D Minor featuring the dazzling guest violinist Jennifer Koh. The Columbus Symphony presents Symphonie Fantastique at the Ohio Theatre (39 E. State St.) on Friday and Saturday, April 6 and 7, at 8pm. Tickets start at $10 and can be purchased at the CAPA Ticket Center (39 E. State St.), all Ticketmaster outlets, and www.ticketmaster.com. To purchase tickets by phone, please call (614) 469-0939 or (800) 745-3000. The CAPA Ticket Center will also be open two hours prior to each performance. Prelude – Patrons are invited to join Christopher Purdy in the theatre at 7pm for a 30-minute, pre-concert discussion about the works to be performed. Postlude – Directly following the performance, patrons are invited to stay in the auditorium and enjoy a talk back with the evening’s artists. Experience a working rehearsal prior to that evening’s opening-night performance. Seating is general admission for this 2.5-hour, open rehearsal, offering a behind-the-scenes look at the fine tuning and preparation behind a Masterworks main stage performance. Tickets are $10 and include coffee and snacks. Respected and admired by audiences and musicians alike, Rossen Milanov is currently the Music Director of the Columbus Symphony Orchestra, Chautauqua Symphony Orchestra, Princeton Symphony Orchestra, and the Orquesta Sinfónica del Principado de Asturias in Spain. Milanov has established himself as a conductor with considerable national and international presence. He has appeared with the symphonies of Colorado, Detroit, Indianapolis, Milwaukee, Baltimore, Seattle, and Fort Worth, as well as the National Symphony Orchestra at the Kennedy Center and Carnegie Hall “Link Up” education projects with Chicago’s Orchestra of St. Luke’s and Civic Orchestra. Internationally, Milanov has collaborated with the BBC Symphony Orchestra, Orchestra de la Suisse Romand, Rotterdam Philharmonic, Aalborg, Latvian, and Hungarian National Symphony Orchestras. He has also conducted orchestras in Toronto, Vancouver, Mexico, Colombia, Sao Paolo, Belo Horizonte, New Zealand, and the KwaZulu-Natal Philharmonic in South Africa. In the Far East, he has appeared with the symphonies of NHK, Sapporo, Tokyo, and Singapore, the Hyogo Performing Arts Center Orchestra, the Malaysian Philharmonic Orchestra, and the Hong Kong Philharmonic. Noted for his versatility, Milanov is also a welcome presence in the worlds of opera and ballet. Most recently, he collaborated with Komische Oper Berlin (Shostakovich’s Lady Macbeth of Mtzensk), Opera Oviedo (Spanish premiere of Tchaikovsky’s Mazzepa and Bartok’s Bluebeard’s Castle that was awarded best Spanish production for 2015), and Opera Columbus (Verdi’s La Traviata). Sibelius was a Finnish composer and violinist of the late Romantic and early-modern periods, and is widely recognized as his country’s greatest composer. He is often credited with having helped Finland to develop a national identity during its struggle for independence from Russia. His Violin Concerto in D Minor was written in 1904, and revised in 1905. His only concerto, it is symphonic in scope, with the solo violin and all sections of the orchestra being equal voices. The initial version of the concerto premiered on February 8, 1904, with Sibelius conducting. He had barely finished the work at that time, giving the soloist little time to prepare for a piece of such difficulty, and the premiere was a disaster. Sibelius withheld this version from publication and made substantial revisions, premiering the new version on October 19, 1905, with Richard Strauss conducting the Berlin Court Orchestra. French Romantic composer Louis-Hector Berlioz composed for huge orchestral forces in some of his works, and conducted several concerts with more than 1,000 musicians. He also composed around 50 compositions for voice, accompanied by piano or orchestra. His influence was critical for the further development of Romanticism, especially in composers like Wagner, Rimsky-Korsakov, Liszt, Strauss, and Mahler. His Symphonie Fantastique is a program symphony written in 1830, with its first performance on December 5, 1830, at the Paris Conservatoire. The symphony tells the story of an artist gifted with a lively imagination who has poisoned himself with opium in the depths of despair because of hopeless, unrequited love. The 2017-18 season is made possible in part by state tax dollars allocated by the Ohio Legislature to the Ohio Arts Council (OAC). The OAC is a state agency that funds and supports quality arts experiences to strengthen Ohio communities culturally, educationally, and economically. The CSO also appreciates the support of the Greater Columbus Arts Council, supporting the city’s artists and arts organizations since 1973, and the Robert W. Stevenson, Preston Davis, and Kenneth L. Coe and Jack Barrow funds of The Columbus Foundation, assisting donors and others in strengthening our community for the benefit of all its citizens. Founded in 1951, the Columbus Symphony is the only full-time, professional symphony in central Ohio. 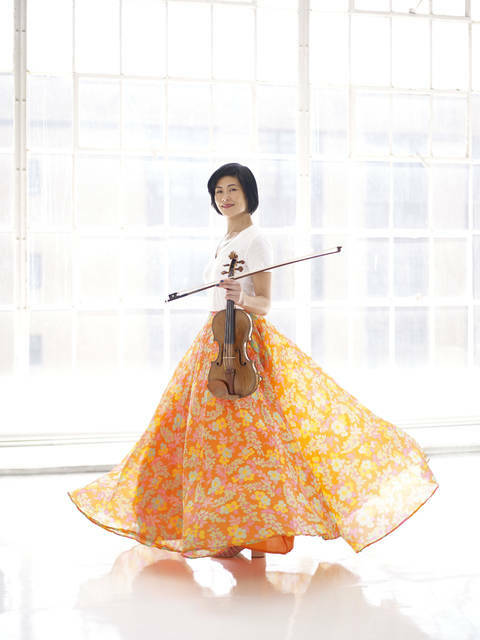 Through an array of innovative artistic, educational, and community outreach programming, the Columbus Symphony is reaching an expanding, more diverse audience each year. This season, the Columbus Symphony will share classical music with more than 200,000 people in central Ohio through concerts, radio broadcasts, and special programming. For more information, visit www.columbussymphony.com.